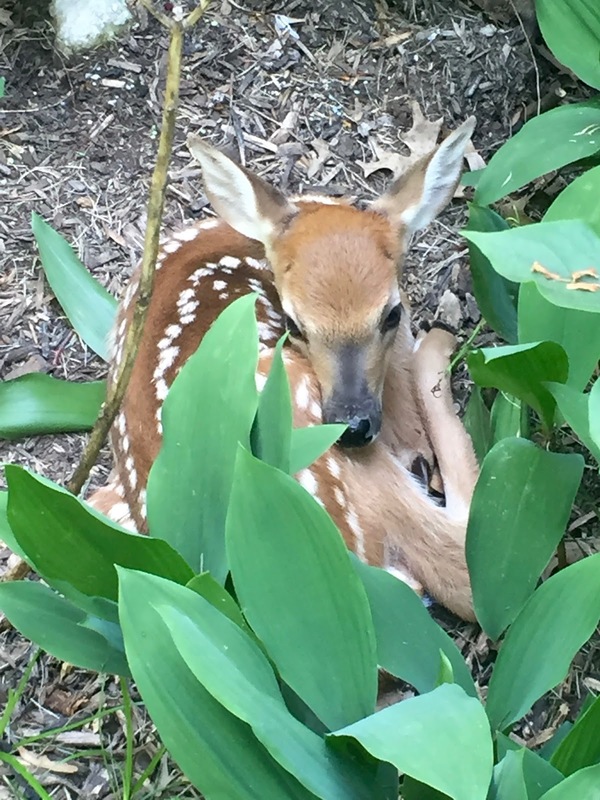 The fawn that I photographed sleeping in our flower garden earlier in the year wandered through the edge of the yard yesterday. My how she has grown--but remains under the watchful eye of her mother. They were not particularly concerned about my presence, in fact, the doe made a gesture that I interpreted as almost wanting to come to me for food. We have not been feeding the wild animals. But, they understand that our yard is relatively safe space. Makayla is very good about not chasing the deer, although she was the one who alerted me to their presence in the yard yesterday. 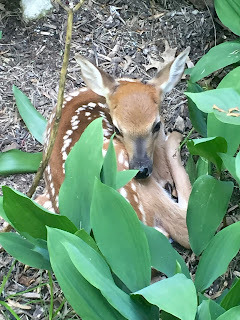 It is fun to watch the small, seemingly helpless fawn grow into a deer. Life continues. Even in our relatively small community. I hope we have a mild winter.